This seva is conducted in the Vaibhavotsava Mantapam as an arjitam. The seva is offered to Sri Malayappa swami and His consorts daily. Perfumeries are lavishly used to create an ethereal atmosphere. The veda pandits chants Purusha suktam, Sri suktam and other vedic hymns. Abhishekam is done to the Lord and His consorts with sacred water. Later abhishekam is performed with milk, curd, honey and turmeric. Finally, sandal paste is applied to Sri Malayappa Swami and consorts. The duration of the seva is about one hour. Note: After completion of the seva the pilgrims are allowed for Main Deity Darshan. Please let me when will be the quote for Vasanthostavam for the month of june 2015 second week. 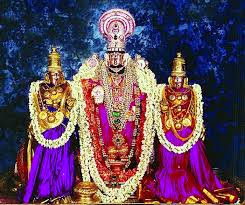 After vasanthostavam allowed to main deity? Yes sir, after vasanthostavam we will allowed to main deity darshan..